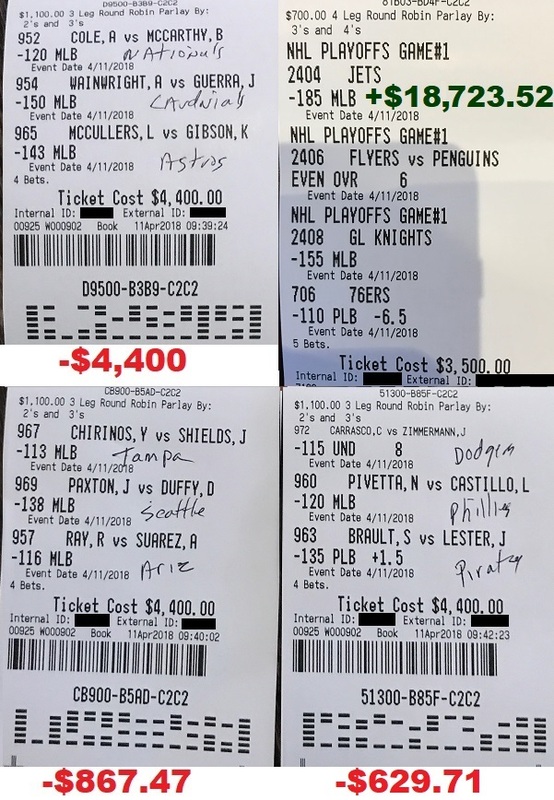 Sports Betting Whale Wins Big Again! Here’s a recap: Yesterday, I completely racked the board in baseball, winning each and every single MLB pick I made. I won all of my baseball round robins yesterday. Unfortunately, I missed out betting on the early morning round robin and did not win as big yesterday as I should have. 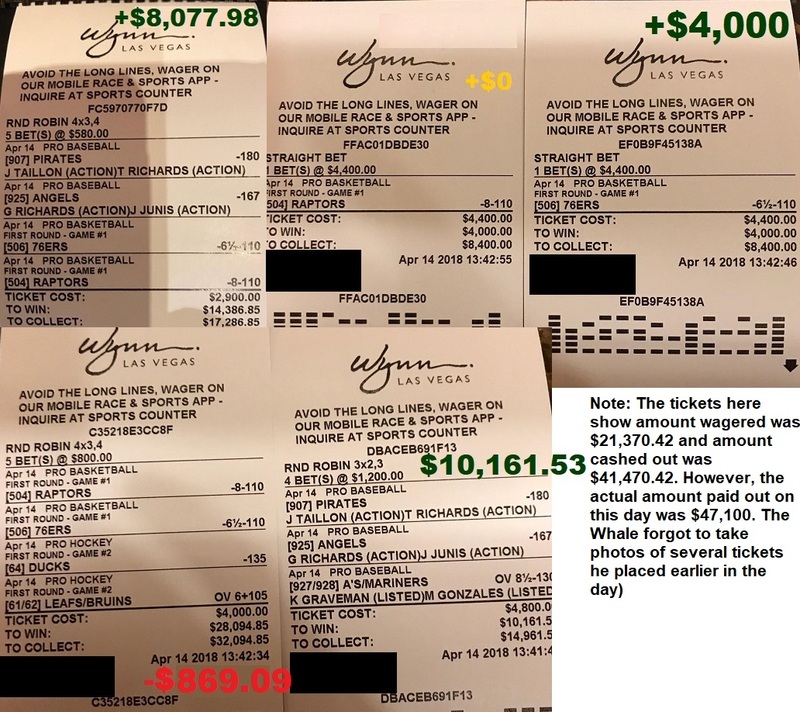 It was still a $25,715.35 day for me, and would have been a $40,000 day had I wagered on the early morning roundie. 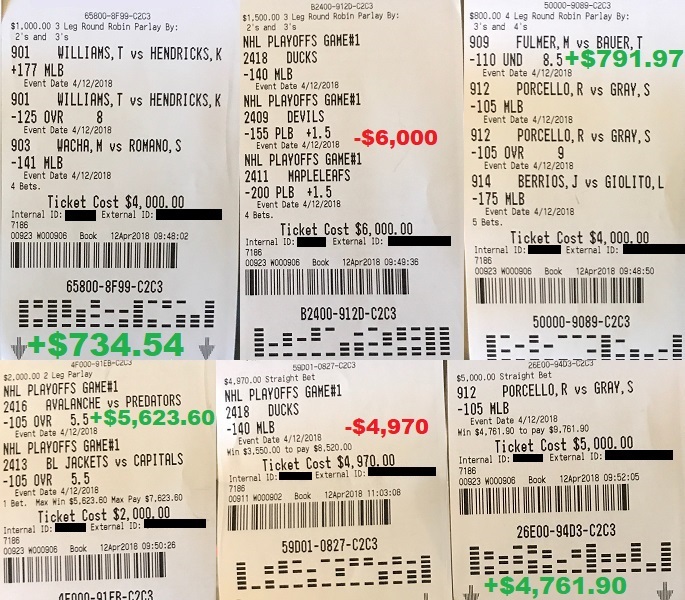 Do the math: In just the 6 days of betting on my own picks, I have now been paid out more than $146,000! And you completely missed out on all of that because you’re not yet a premium member. How would you feel if I continue to run it up to a million dollars in the next month, and you miss out on all of that too because you continue to only sit and watch on the sidelines? Today, I will continue to maximum acceleration. I will bet a total of $38,300 today on my picks. How’s that for “putting my money where my mouth is?” If I cannot help you win today, I’ll lose more than $38,000! If all goes well, I will win over $100,000 in one single day today! 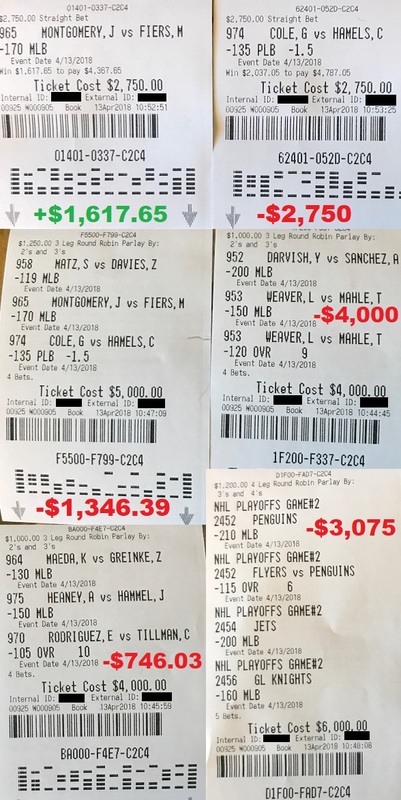 Ask yourself this: Why am I betting $38,300 today on my picks? That’s enough money to buy a brand new car. Or put on a down-payment for an entire new home. Would you be willing to risk that kind of money betting on sports in one single day if you aren’t convinced that you’re going to win? Not a chance! 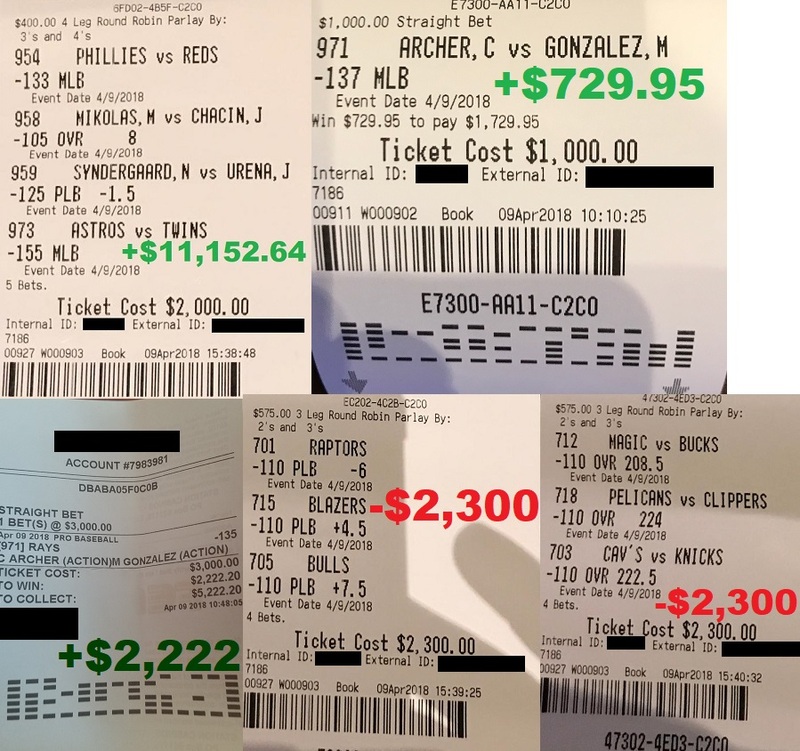 I put my money where my mouth is every single day for you because I’m sick & tired of the typical industry touts who can only sit back and tell you how much they can theoretically win. I’m more interested in showing you how I can actually win millions. 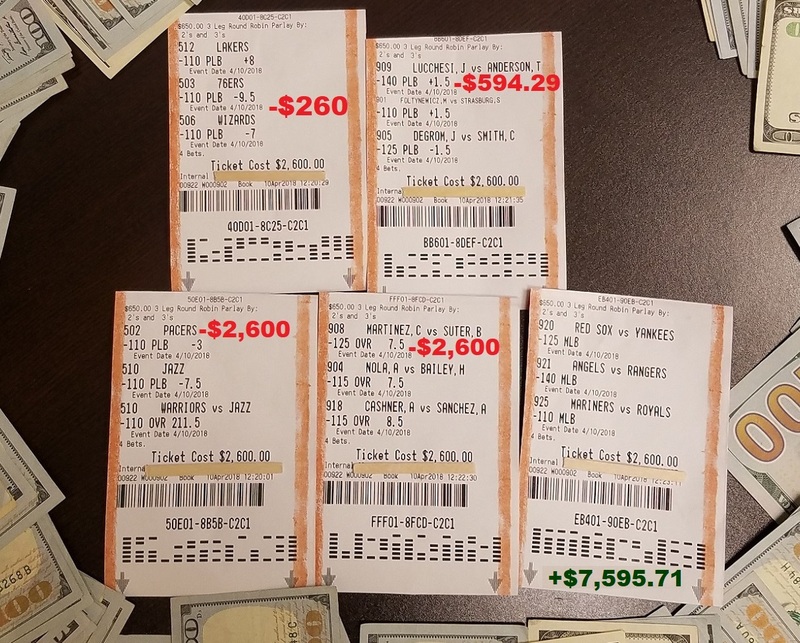 In the 1990’s when I was allowed to bet max limits at The Mirage sportsbook, My Round Robin acceleration system made me the largest sports bettor in Nevada, and one of the winningest sports bettors of all time. Now, my next mission is to show you that I can win millions once again live, right in front of your eyes. That’s because I know how much more convincing it is for you to actually see me millions instead of just me telling you I can win millions. I invite you to join a premium membership now and see for yourself what can happen to your financial future when you tail The Whale at the team sport I’m most historically accurate in, and finds the easiest to handicap. How would you feel if I go on a monster hot streak to win a million dollars in the next month, and you completely missed out on some of that success because you are not yet a premium member?